“Ooh, are we having smashed potatoes for dinner?” He was excited, just like kids were when they lived at home, so cute! 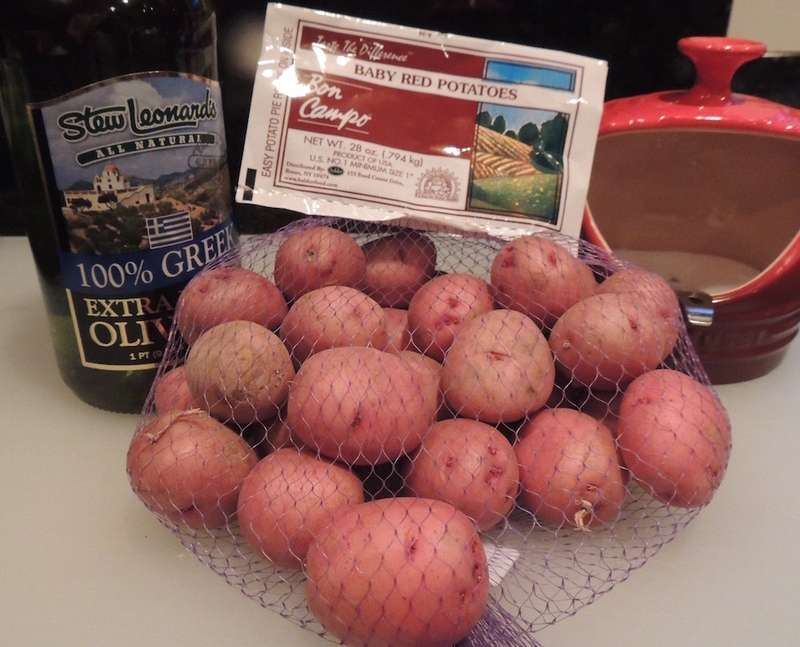 I like to use baby red potatoes or creamers for this recipe. They cook quickly and look better than large potatoes cut into pieces and smashed. This recipe is easy to make and can be partially prepared a day or two in advance. Line a large baking tray (10″ x 15″) with foil. Place the potatoes and salt in a large covered pot. 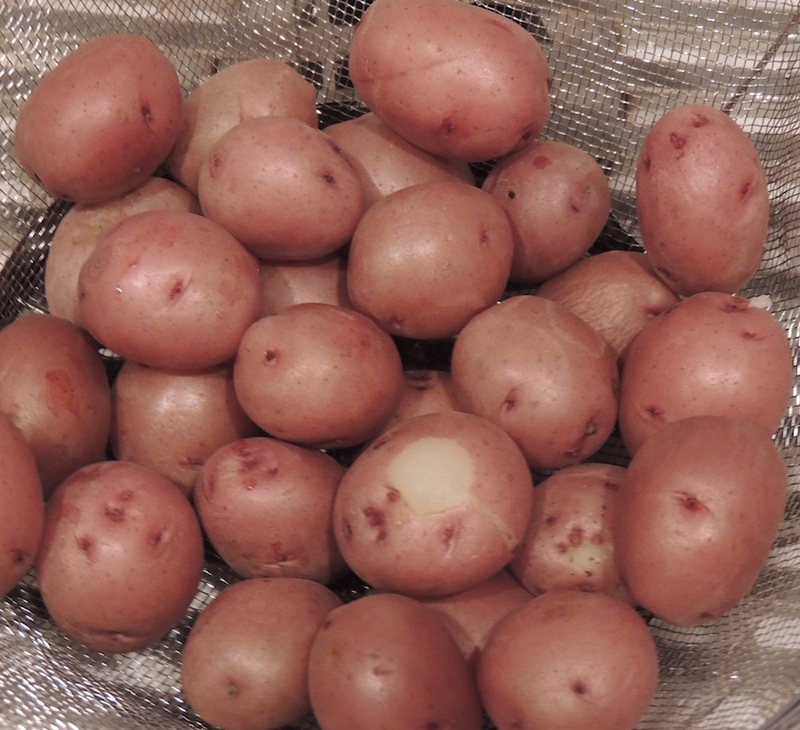 Add enough cold water to exceed the potatoes by a couple of inches, cover the pot and bring to a boil. Once the water boils, tilt the cover to let steam escape, lower the heat a little and continue cooking until tender, about five minutes. Drain. Pour the olive oil onto the lined baking tray, add the potatoes and roll them around to coat with the oil. Once the potatoes are cool, about ten minutes, use the heel of your hand to push down and “smash” the potatoes. Bake in the preheated oven until golden brown and crispy on the edges, about 1 hour. Or, if making in advance, cover and refrigerate. 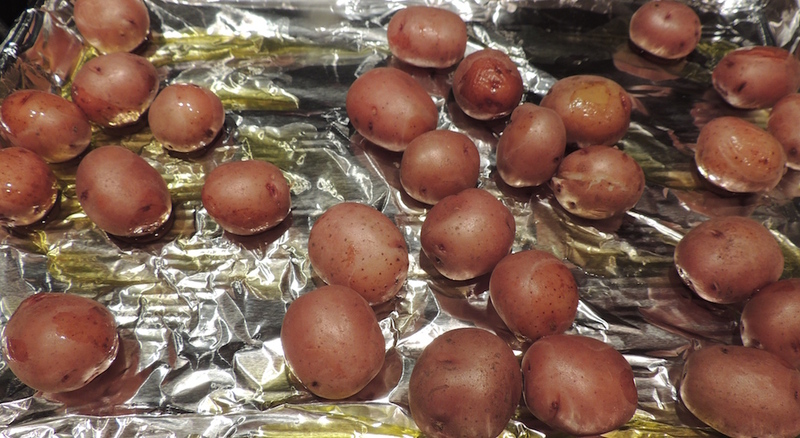 Allow an additional ten minutes cooking time for the cold potatoes. Season the potatoes with sea salt, pepper and fresh herbs, if using. I like to use baby red potatoes or creamers for this recipe. 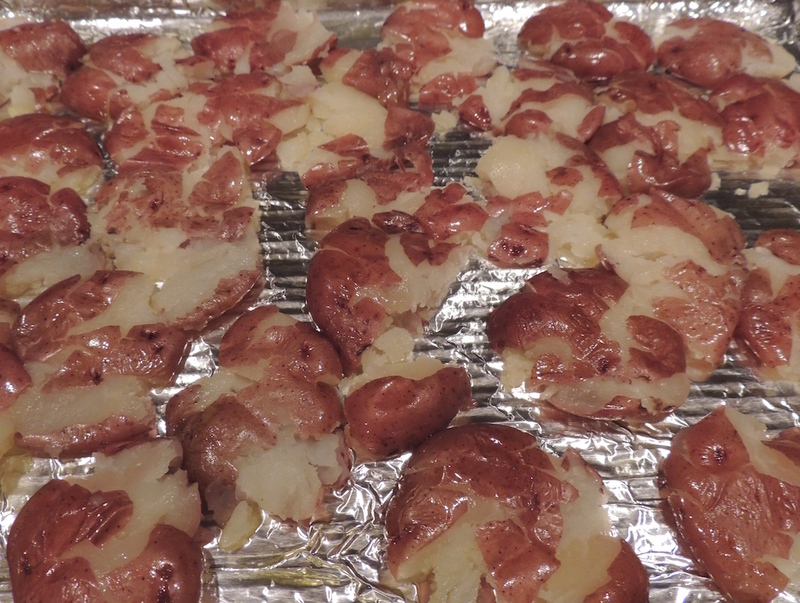 They cook quickly and look better than large red potatoes cut into pieces and smashed. This recipe is easy to make and can be partially prepared a day or two in advance. Line a large baking tray (13″ x 15″) with foil. Pour olive oil onto the lined baking tray, add the potatoes and roll them around to coat with the oil. Bake in the preheated oven until golden and crispy on the edges, about 1 hour. Or, if making in advance, cover and refrigerate. Allow for an additional ten minutes to make up for the cold potatoes.